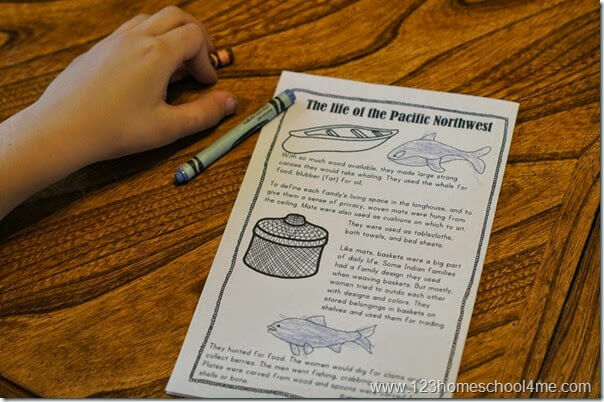 This week’s lesson on Native Americans for Kids will cover the Pacific Northwest Tribes. This is just one of our many hands on history for kids units! 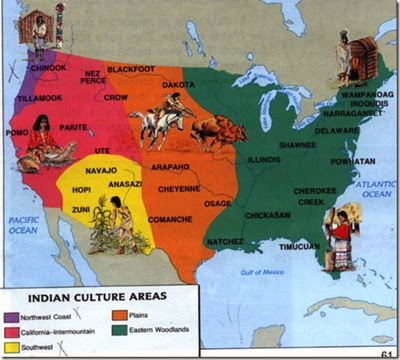 The Pacific Northwest tribe can be seen in purple in the map below. Because they were so far away from the east coast the European influence didn’t get to them until the 1700s as apposed to the 1500s for the majority of the North American tribes. 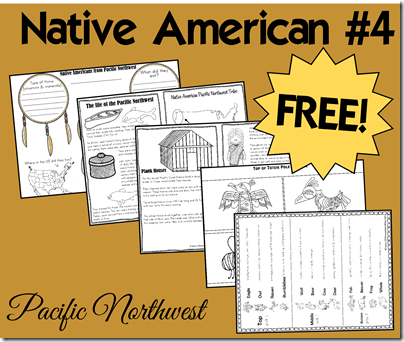 We started out by printing out the Pacific Northwest tribe printable books (from the free printable below). We read through the information. 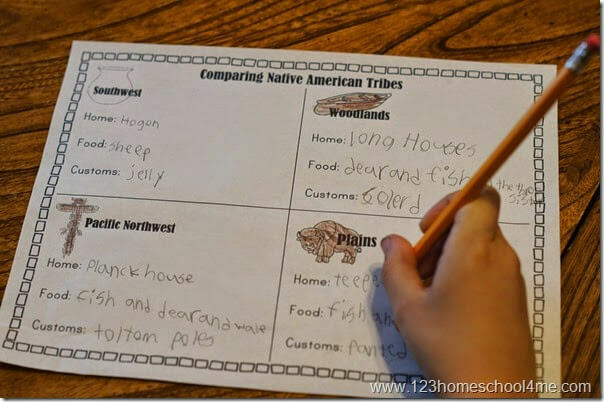 Then we completed the worksheets comparing all four Native American tribes we studied, review worksheets, and a look at the Seminole tribe in Florida. 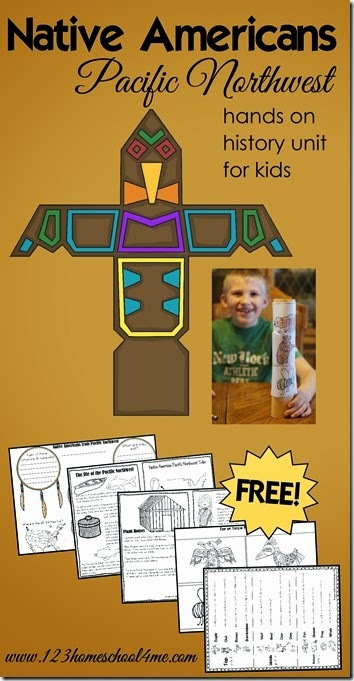 We used the free printable totem pole worksheets in the pack below to make our own totem poles. First we read what totem poles represented and their importance in their community. 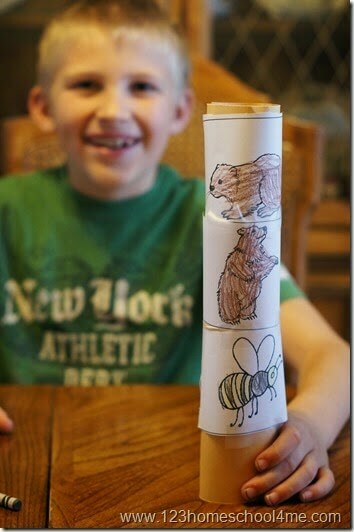 Then the kids picked what animals (and their meaning) they wanted on their totem poles. 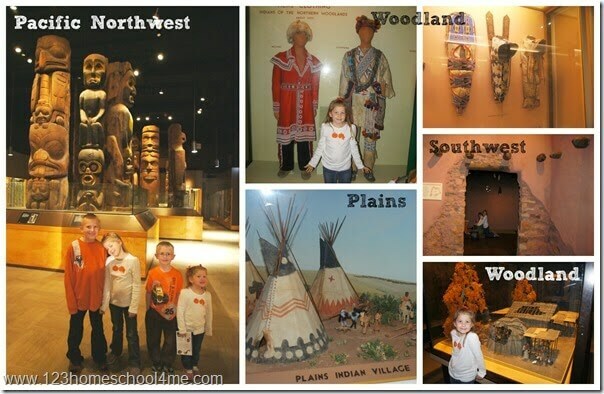 We took a Field trip to see some Native American artifacts. If you live close to a reservation, consider taking a tour and see some historical artifacts along with a look at how they live today.